A man was badly injured when he was struck by a trolley near San Diego International Airport on Saturday morning. 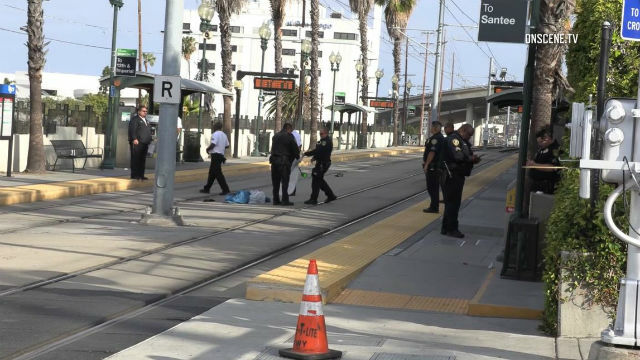 It happened about 7:30 a.m. as a 40-year-old man got off a trolley at the Middletown station near West Palm Street between Kettner Boulevard and Pacific Coast Highway, according to San Diego Police Officer Steve Bourasa. While the man tried to cross the tracks by walking between two trolley cars, the trolley began to move, crushing his left foot and ankle. He was taken to a local hospital to be treated for his injuries, which were serious but not life-threatening, Bourasa said. The Metropolitan Transit System is conducting an investigation of the incident.